This is stunning and poignant book. The story is told in two-word phrases that describe shades of blue and illustrations that show the friendship between a boy and his dog. The illustrations are beautiful on their own, but the addition of cut-outs on each two-page spread make the book even more visually appealing. The book seems simple at first glance, but is really quite clever and meaningful. It's Carmela's birthday and she's finally old enough to walk with her brother as he runs errands in their Spanish-speaking neighborhood. She tags along with her brother, much to his annoyance. She picks a dandelion with which she wants to make a wish, but before she can decide what to wish for, she trips and the flower is ruined. Carmela's brother puts aside his irritation to comfort his sister and shows her how she can make a wish after all. As Carmela walks with her brother, her imagination gives insight into her life and her dreams. De la Pena's text and the illustrations, by Christian Robinson, depict the liveliness of Carmela's neighborhood. The relationship between sister and brother is true-to-life and heart-warming. This is an uplifting and tender story. Thanks to the publisher, Penguin Young Readers, for providing my book review group, #BookExcursion, with a review copy. Maxine likes to make things, but her inventor abilities are put to the test when she decides that her pet fish Milton will be part of her class's pet parade. Although Maxine fails, at first, to make a better bowl for Milton, she persists and with creativity she accomplishes what she set out to do. Maxine is a thinker and problem-solver, showing readers that girls can be inventors, too. I read a review copy of this book, thanks to the publisher, Penguin Young Readers. Astrid lives in Glimmerdal, a small village in Norway. She's adventurous and loves to sled and sing. With no other children in the village, Astrid spends a lot of time with Gunvald, her godfather and neighbor who is a bit of a grump. When a mysterious stranger shows up, Astrid discovers that Gunvald has been keeping a secret from her. As this stranger's arrival threatens to bring some changes to the village, Astrid is determined to keep everything the same. I was captivated by the setting of this book. I loved the author's writing style which drew me into the charming village of Glimmerdal. Astrid is a spunky and strong-willed character with heart. This is an endearing book which explores family and community. Thanks to the publisher, Candlewick Press, for providing my book review group, #BookExcursion, with an advance reader's copy. The book publishes in November. 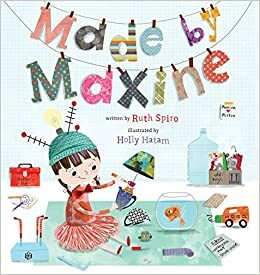 I really like what I'm hearing about Made by Maxine -- we need more problem-solving books (and especially with female main characters). 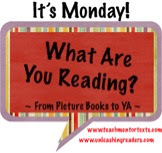 Thanks for sharing this title and have a wonderful reading week! Yes, I agree that titles with characters who show the power of problem-solving are important. I love these books to discuss persistence, stamina, flexibility and other habits of mind that we want our students to display. I have Blue on the way & will put the others on my list, Lisa. Carmela Full of Wishes sounds lovely. You might want a tissue nearby when you read Blue! It's an amazing book. I have to read the author's previous book, Green. 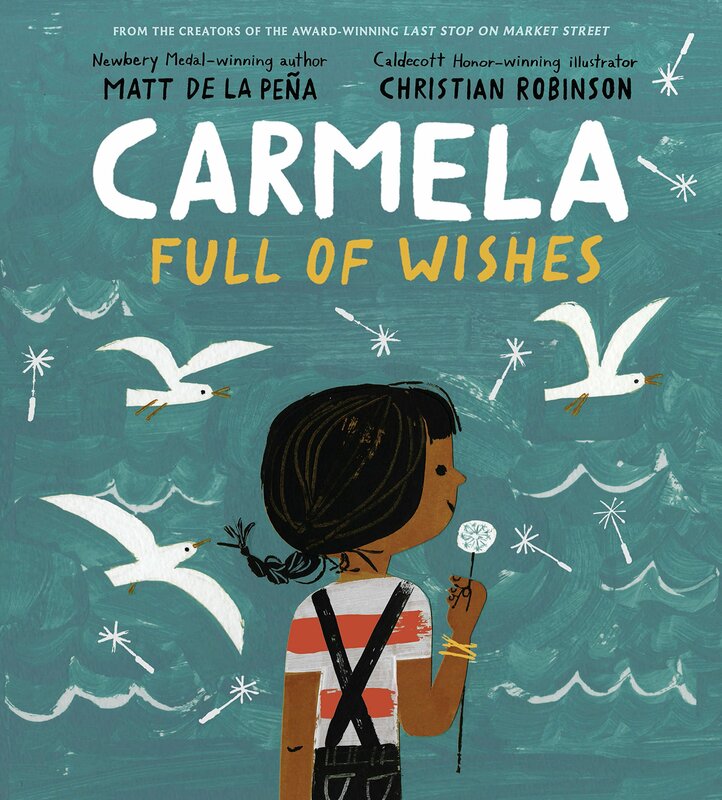 Carmela Full of Wishes looks like a terrific book. I love all of Matt de la Pena's books, so I'm really looking forward to reading this one. Thanks for sharing and have a wonderful week! Blue is my favorite from your list! I've read it so many times, and I haven't even shared it with students yet! It's for sure going on our Mock Caldecott! I also loved Carmela, but for different reasons! 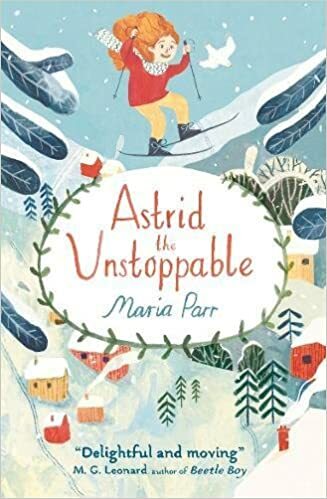 I have an advance copy of Astrid the Unstoppable as well and I can't wait to read it! I loved Parr's Adventures with Waffles. 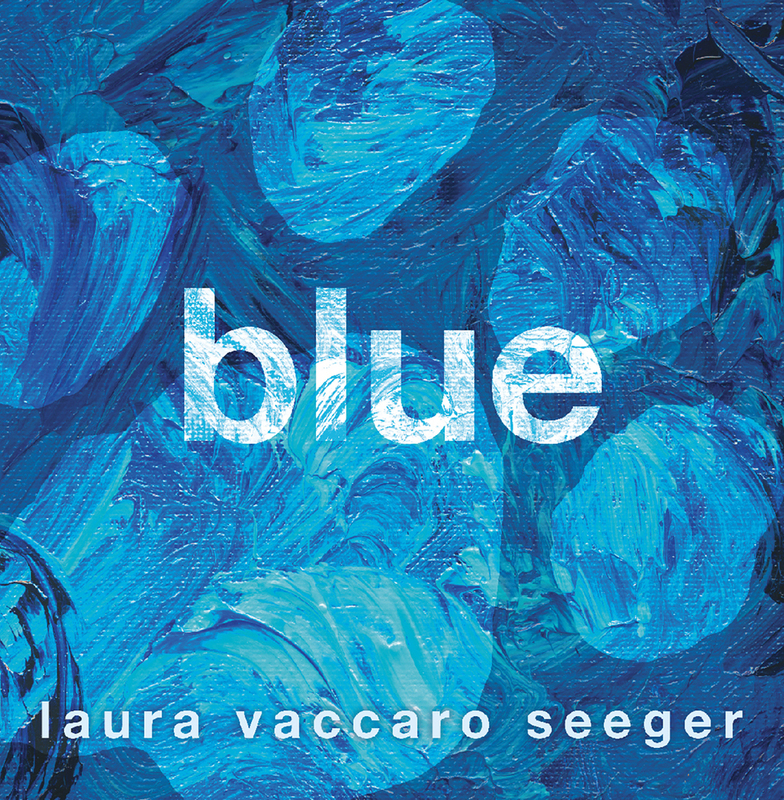 I didn't realize Laura Vaccaro Seeger had done another color book. I loved Green! I'll be looking for Blue for sure. I'm looking forward to Carmela Full of Wishes. Honestly, Matt de la Pena can do no wrong! I adore the cover of Blue so that one will have to go on my list as well. Blue is on my wish list. Looks incredible!